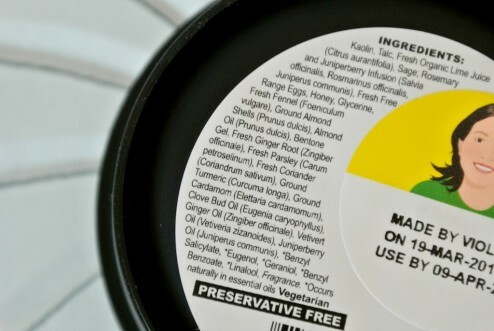 With staggering lists of upwards of 50 ingredients in common beauty products, it can be easy to direct our attention to the smiling bunny label that promises an item is “cruelty free” or “not tested on animals.” It may come as no surprise to some, but these arbitrary classifications are permitting people to support animal cruelty. There are two ways in which these identifications don’t work. The first and perhaps most flagrant is corporations, like Lush, that use animal derived ingredients in products listed cruelty free, or fighting animal tesing. Second, I believe the involvement of animal welfare organizations, like PETA, promoting these brands actually lead to increased demand for products with animals in them. The Humane Society estimates that somewhere between 100,000-200,000 animals suffer and die from lab testings for cosmetics every year around the world, a small fraction of the billions used by humans. Certifications from a variety of money-hungry organizations promise to promote the companies that reject this archaic testing, but end up often overlooking the more egregious practice of using animals in their products. I once turned over a popular bottle of mousse surprised to see a highlighter green warning that animals weren’t tested on. It didn’t take much time or prior knowledge to see gelatine, keratin, lanolin, and a slew of other animal derived ingredients in the list adjacent. Does this make the assumption that consumers are more concerned with how animals are treated, then whether they live or die? Regardless of their intention, the incredible hypocrisy of using animals to make products that are not being tested on animals is unforgivable. Anyone hurt by the idea of a rabbit being tortured by product testing should be equally as opposed to seeing any animal killed for an ingredient in a product itself. 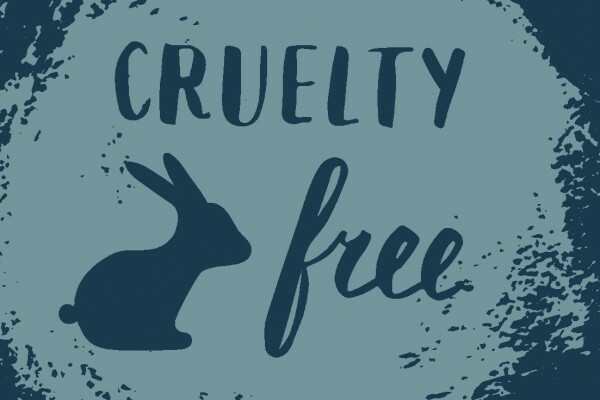 I hear at least one reader arguing, “should we not encourage everyone to buy products that are not cruelly tested on animals?” The reasonable answer may be yes, as it seems like it’s a step forward for animals. However, it’s a very deceptive way to form the question and more importantly, a step back. Heartening people to buy products that are not tested on animals but still contain animal products is still encouraging them to take part in a system that exploits animals. In our modern society where almost any product (cosmetic or not) can be made vegan, there is absolutely no excuse to purchase products with animal ingredients. Animal Welfare organizations like PETA, and other so-called animal activists, should promote nothing less than completely vegan products and companies as anything short of that sells animals out. Bottom line, we shouldn’t support companies that proudly flaunt their opposition for testing, while continuing to kill animals. When non-vegan companies come out with vegan lines, it’s never that single line that gets the recognition. Lush, a vegetarian brand (isn’t all brands not containing animal flesh vegetarian? ), has become the cosmetic poster child for cruelty free choices. Whether it’s the boxing bunnies on their bag, The Lush Awards recognizing and awarding companies like PETA for helping animals, or their sponsorship of dozens of veg-fests around the globe, the seemingly infinite good this company does up front allows them to continue using honey, egg, milk, beeswax, and lanolin in their products because they “are beneficial for the skin or hair” behind the scenes. Am I the only one who hates the idea that the supposed leader in cruelty free products still thinks shiny hair is more important than animal life? When PETA gets on board with Lush, It’s like saying “it’s not that bad.” Just as buying cage free eggs doesn’t help chickens, buying cruelty free milk bath bars doesn’t help cows. Lush goes so far as saying “don’t cry over spilled milk – bathe in it!” When PETA turns a blind eye to this, so do their followers. They end up supporting and paying for Lush to continue making all the “evil” products, as long as we can keep having “good” ones too. But of course, Lush is far from being the only brand doing this, and PETA is even further from being the only animal rights group applauding it. I just hope to use their spotlights to bring attention to this absurd duality in a new light (pun intended). I hope that in sharing this, some questions come up. Why are animal rights organizations participating in this system of exploitation? Why are completely arbitrary cruelty free labels even in existence? Can we influence companies to go completely vegan without supporting them first? Rather than trusting the happy bunny or “free-range” labels, look instead for products that are truthfully labelled vegan if you want to see an end to animal cruelty. I try my best to live a cruelty-free lifestyle. I love LUSH because they offer clearly labeled vegan products and do not conduct tests on animals. I only buy the vegan products, and I hope that by putting my money where my mouth is, LUSH will get the picture loud and clear. I also appreciate PETA’s cruelty-free and vegan product lists. Millions of readers now know what vegan items are available at Target, Sephora, etc. because of their articles. There is no such thing as perfection, but these resources make veganism attainable for people. Lush carries 80% vegan and 20% vegetarian products. Every ingredient they use is sourced in the most ethical way possible and while I agree that we should never use any animal products for our own benefit, there are so many terrible companies you could’ve written an article about. Ones that actually test on animals and source their ingredients unethically. Yes, Lush is not perfect but they’re very adamant about getting the cruelty free message across and labelling their products, plus they are very transparent about their ingredients and products. Just don’t buy the vegetarian ones.